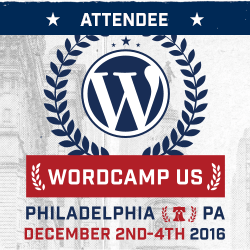 My third ever WordCamp – WordPress conference – took me to downtown Philadelphia in December 2016. As ‘1099’ freelancer I feel fortunate to live close enough to Philly to be able to drive up for this event. 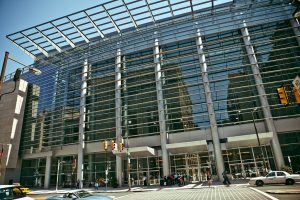 I arrived on Friday morning following a 3 hour drive only to discover that the parking at the Philadelphia Convention Center was something like $10 per hour and that several of the parking lots recommended in the link to Philadelphia city parking didn’t exist. I began my morning with a scenic tour of downtown Philly until a lot was located scarcely a block away for $17 all day. Woot! From this point on, there were no glitches and I only have praise for the organizers, presenters, volunteers and vendors who all worked hard to put this happening together. Despite the chilly weather outside, the atmosphere inside was warm, not only due to the all day coffee and tea provided but also due to the friendly nature of the WordPress community. Without further ado let’s look at some of my highlights and take aways. Ryan‘s perspective of code review is applicable for any application b uilt. 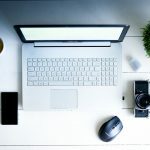 The main reasons why we should perform code review are for safe code, finding Cross-site scripting (XSS) vulnerabilities, unescaped and unsanitized code, scalability, using cached WordPress functions, smart fetching of remote data, locating typos, and readability. I was able to relate to this perspective from my past experience in a corporate setting. I appreciated the fact that Ryan addressed the solopreneur and suggested that if we don’t have a team, “Sleep on the Code”. 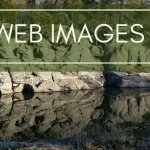 Don’t build a site with a theme that fits all cases. Use something specific. The point that Courtney makes is that companies hire they tend to categorize skills into Front-End, Back-End, and Full-Stack. Labelling is very limiting particularly since tasks might include some of each area of expertise. She advises checking what a person is good at, asking about a project they worked on and finding out where their interests lie. Digging a little deeper might enable a manager to hire developers more qualified for specific needs. Chris gave a motivational talk about finding your authentic inner voice, knowing who you are and how you can help others in the world. All of this is achieved with a blog. “Create the content that’s useful to you.” Don’t distract yourself with content you don’t care about. Establish your writing practice by attaching it to a daily habit that you already do. Write as if you are chatting to someone. Don’t be hesitant. You will improve over time. The letters “API” stand for Application Programming Interface. It establishes a way for a program to connect with different software libraries in much the same way as a USB connects with different devices. 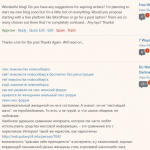 Petya believes that the REST API is the tool that will allow WordPress to reach the next level of expansion. She deliberates that number of tools available from within the WordPress platform is exhaustive and makes an analogy between the diversity of the WordPress platform and a manager who needs to delegate tasks in order to be successful. Similarly, the REST API will allow WordPress to ‘delegate functionality’ – decoupling the front end and back end. As a traditional CMS, WordPress deals with data, delivery and display. A headless CMS does not deal with the front end. Data storage in the backend is the same, retaining the familiar WordPress structure, but the data can be delivered to the front end using the REST API and a technology of the developer’s choice. 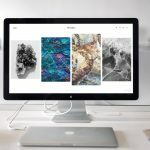 This will allow developers to build multiple projects taking one WordPress install and delivering it to multiple applications. 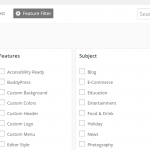 In addition, it will allow WordPress to be part of a larger technology stack. 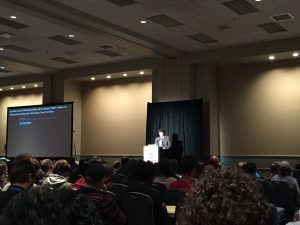 Later in his address “State of the Word”, Matt Mullenweg, founder of WordPress highlighted the example of the new Guggenheim Museum website which uses the new API, and is powered by Content Endpoints. That is why keyword research is important. You cannot be found for words that you never use. “You can’t rank for cats and dogs on the same page”. Have a separate topic for each page. We should all be registered on Google Search Console. Check metrics. Activate XML sitemaps Pay attention to the Click Through Rate, snippet previews, and longer search terms have significance since Google Hummingbird came out. Joost reminds us that Google is good at English search terms but not as good at foreign languages. Use canonical URL’s to avoid being rated for duplication of content when you have two versions of the same page. This will direct Google to the version you prefer to have indexed. Joost suggests we have fewer better quality posts and if there is a post that has done well in the past, “Analyze, Rinse and Repeat”. Update it, change the date and republish. 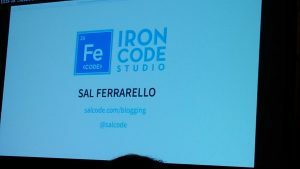 Sal maintains that one of the benefits of blogging, in addition to helping reading with problems that they might encounter is that he uses it as a form of documentation to help himself! Solving a problem did not necessarily mean that he fully understood the solution. In order to write about it, he had to understand. Not everyone can remember everything. If you write it down (in a blog) then you have documentation. By sharing online he can help people that he knows by directing them to a post, but he can also help people that he has never met. Blogging helps him build his brand and offer added value to companies that might want to hire him. Many people maintain that they don’t have a topic to write about. Sal says that if you have 20 minutes researching a topic online, you have a topic to write about. How many of us as developers have spent time scouring Stack Overflow? Despite the nature of her topic Tessa (wp-supergeek) gave an erudite presentation explaining that what we know is enough. She admitted that she doesn’t know everything that there is to know about WordPress. Deviating from popular opinion she maintains that mediocrity is sufficient and that we should not be intimidated by the fact that there are people more astute than ourselves. What is more important is to be authentic, working together to help others even if you only know one more thing than they do. She introduced me to the Japanese term, Wabi-sabi, a view centered on the acceptance of imperfection that embraces uniqueness. Tessa’s motivational talk inspired many audience members who went up afterwards and picked up the “I am enough” badges that she had thoughtfully prepared for us. Lisa demonstrated the flexibility of the WordPress platform when in her presentation about BuddyPress. Until I this session, it never occurred to me that WordPress could be used as a platform for an intranet community. The use case that Lisa offered was no less than “Starbucks”! In the case of Starbucks, the LMS that the company already had in place was integrated with BuddyPress for the barista training. Maile began her presentation with the fact that there are millions of users in India and South East Asia that do not yet have an internet connection. Most of these users speak Hindi. When they do get an internet connection, often the data is very expensive for them, so they will not spend a lot of time online, and 60% of traffic is 2G. Therefore, now more than ever, the time that it takes for a page to load is important. If a mobile page takes more than 3 seconds to load, it will be abandoned in 53% of the cases (Double Click). User expectations are changing. They want fast seamless experiences and increased utility. January 10, 2017 Google will release intrusive mobile interstitials update, demoting offending sites in search. Sites will be labeled Not Secure in Chrome if they collect passwords or credit cards. Having prerendered data above the fold is important. AMP is a natural budget for speed and performance. They are 6 x faster than standard HTML versions. Whereas AMP is great for a content based webpage with basic interactions, it does not serve interactive webpages such as Gmail or Maps. Therefore the recommendation is to have it coexist with progressive web apps (PWAs). A link on the AMP page can bring the user to a PWA page. I was happy to see Steph Wells from Formidable Forms with baby Evie. From my perspective Formidable Forms deserve to be mentioned, in particular as WordPress moves towards being a more multilingual platform. It not only supports different languages but Right to Left languages are seamlessly enabled. In addition, I was pretty happy with the support Steph offered when I used the product. 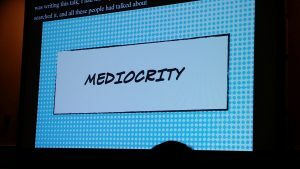 The focus this year at WordCamp has been on telling our own story. What better way to do this than with images? That is why I was so excited to meet Yonit Tzuk, Chief Blogger of Million Eyez, a free plugin that invites photographers to submit photos for your blog posts. 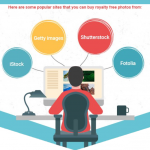 This eliminates the drudgery of searching for images in Stock Photos so that you can take care of more important tasks. A special thanks go to all the sponsors for this event and to all those who contributed their time by volunteering and speaking. I hope that WordPress.tv will publish recordings of the talks that I missed. Thanks to the presenters who shared their slide decks! Did you attend WordCamp US? Who did you enjoy talking to?